The FIFA franchise is one steeped in soccer (or football, if you are so inclined) legacy. It is a soccer series through and through, and has never – at least to my knowledge – failed to deliver. FIFA 19 is yet another of these excellent titles. 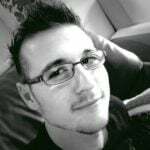 It adequately takes the best of the games before it and updates it for a good present-day experience. With that said, the games have released yearly since the franchises inception. For many people, this may be a bit too much and too fast considering how other triple-A titles get flak for releasing less than three years apart! As such, you might be wondering if this game is even worth it. The short answer? Yes. FIFA 19 is definitely worth it. When it comes to stories in sports games, the likes of FIFA may not always sound like it will have much of anything. The game is meant to be about the sport in its title, after all. Well, for the third year in a row, Electronic Arts has brought back The Journey: a heavy story-driven campaign mode that stars a young English athlete called Alex Hunter. In FIFA 19, Hunter starts his journey in the German club Bayern Munich – where he is making a name for himself. His work in this club may have its perks and may come with fame and fortune, but the pressure causes him to neglect his family and friends. At the same time, team managers and the team coach hate that he is receiving as much attention. This is something I do not understand, since more fame equals more sponsorships for the club, right? Regardless, Alex goes on to play more games and rise above it all. The Journey does not end there, however. Hunter’s bit in The Journey is pretty quick, to be honest. From here on out, the player takes control of Danny Williams – a friend of Hunters. It also features Hunters’ half-sister, Kim Hunter. From here, the game carries out a series of narrative-driven matches that show how both Danny and Kim also make a name for themselves. 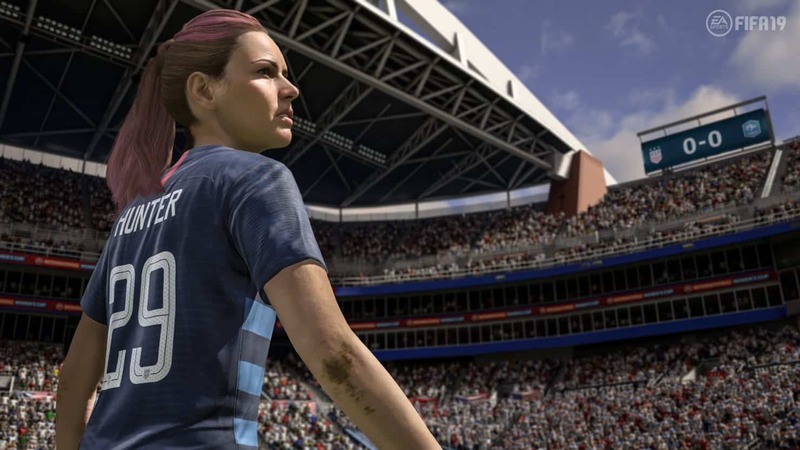 For one, Kim has recently scored a spot on the United States Women’s National Team, and Williams’ story is far more fleshed out when compared to that of Hunters’ in FIFA 18. Playing Alex, Kim, or Danny is a simple matter of perspective. Throughout The Journey, the game will prompt you to switch between the characters in order to progress. Personally, this felt a bit awkward to do. I would much rather have played one character’s story from start to finish, with their friends and family “guest starring” throughout. Rather, this constant switching between characters resulted in a lot of pacing issues. That said, I must admit that I liked The Journey a lot. 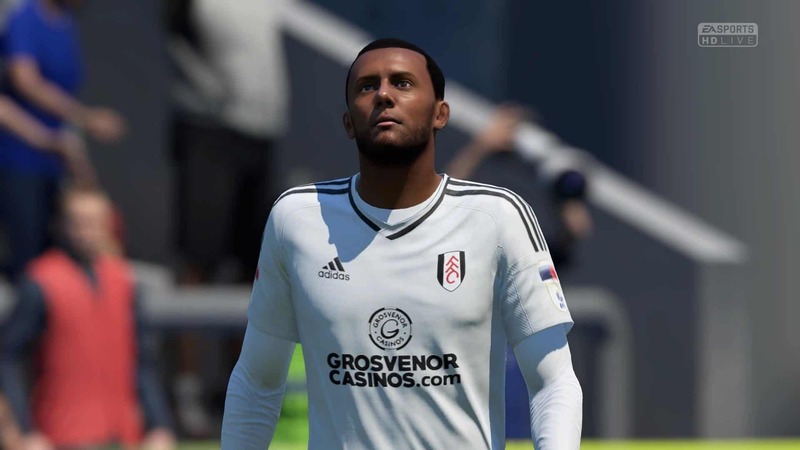 The heavy focus on story in a game like FIFA 19 was nice to see. Another great thing I noticed about The Journey is that it manages to capture real emotion very well. There is a certain point in the narrative where Danny feels ‘down in the dumps’. The emotion captured here is an incredible take – especially when you consider that this is a soccer game! At the end of the day, The Journey manages to carry the story forward properly. It may have pacing issues, but the emotionally heavy hitting story and cutscenes are executed perfectly. The Journey is not the only campaign in the game. 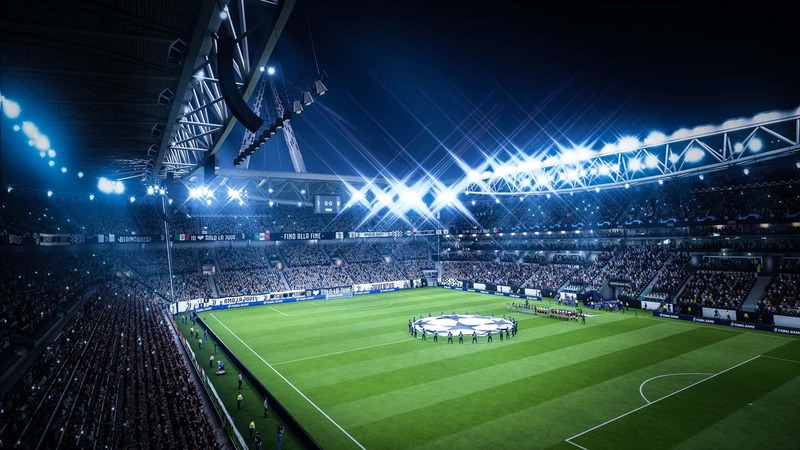 As with all other FIFA titles, FIFA 19 also features Career, a single-player campaign mode that emulates various leagues, championships, and kickoffs. The new addition to Career is the inclusion of the Champions League, the Europa League, and the Super Cup. 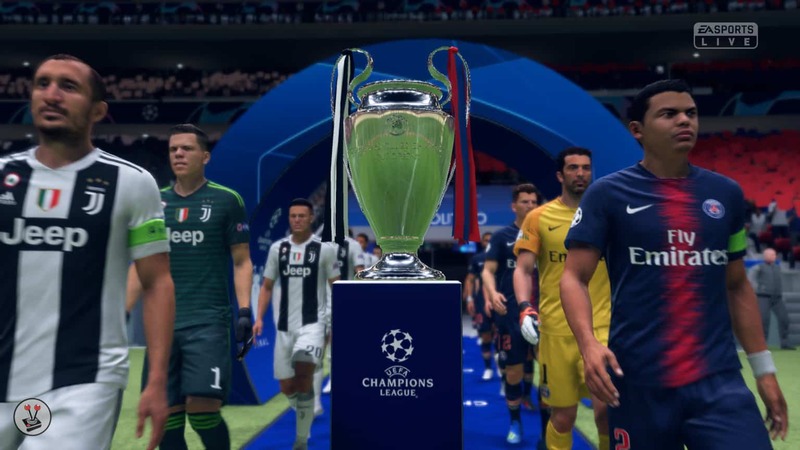 There are three highly sought-after leagues that Electronic Arts finally received the rights to not long after FIFA 18 arrived on shelves. In Career, your chosen athlete and his or her team make their way through the various leagues, which appear to be assigned at random with no means of choosing a league before it begins. With that said, making it through was fast and easy. When I reached the big leagues, however, I had a much more challenging time. We all follow the West Ham, over land and sea. We all follow the West Ham, on to victory (all together now)! I must say that it helped that I could do it all from the perspective of Peter Dunham, a custom character that I created, based entirely off my love for the movie Green Street Hooligans (2005). As you can tell, character creation returns in FIFA 19. Here, you can craft your perfect athlete, with multitudes of both head and facial hair options, actual face presets, facial feature fine tuning, skin tone selection, and much more. You can even choose your prefered team. Two guesses which team I chose [West Ham, for those who may have missed the reference]. Once created, you can put your athlete through the career mode, or carry on to FIFA Ultimate Team (FUT). FUT is undoubtedly the most popular online game mode. 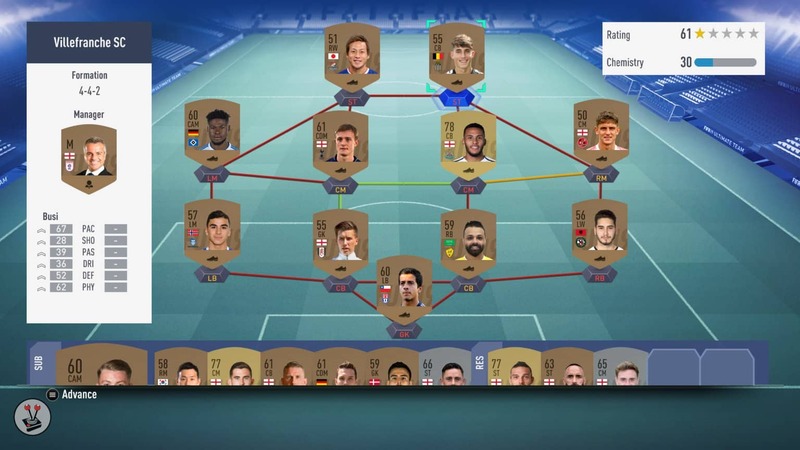 In this mode, you craft your ultimate team, as the name implies, by using player cards that you can switch out, transfer, and trade. With the introduction of the Champions League and Europa League licences, the game features way more player cards than FIFA 18. Once a team is created and saved, players can take part in Divisions Rivals, basically just a new version of Online Seasons. In Divisions Rivals, players can play through divisions that match players up to others with similar ranks. As you progress through the divisions, you will receive weekly rewards based on how well you did. This is a nice incentive for players to return to the game every week to receive their well-earned card packs. With all of that out of the way, I must, of course, mention that normal online play is still very much an spect of the game. I played a few matches and failed each and every time. This was definitely more a case of me being bad at the game, versus the game having poor controls. In fact, they are excellent. The game is pretty great in terms of actual control. Dribbling is easy, passing is just as easy, and tackling other players can prove to be challenging or downright impossible, as it should be. 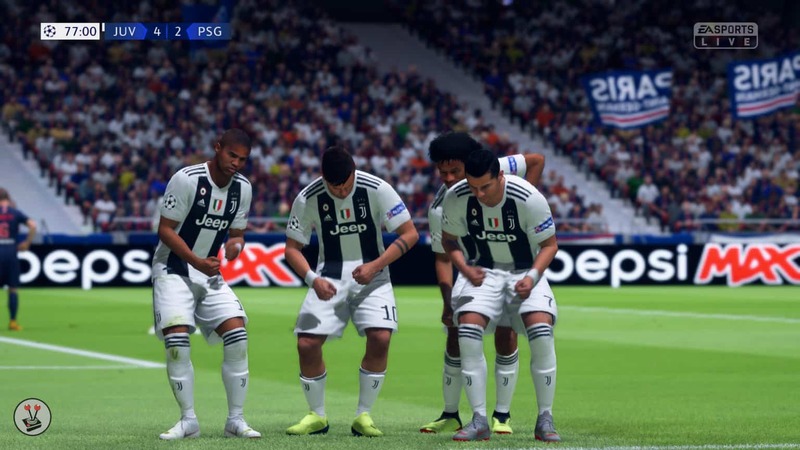 FIFA 19 features a brand new mechanic called Timed Finishes. The idea is that you tap the shoot button at the exact time before your player takes the shot. If done correctly, your Timed Finish will be accurate and harder to block by goalkeepers. 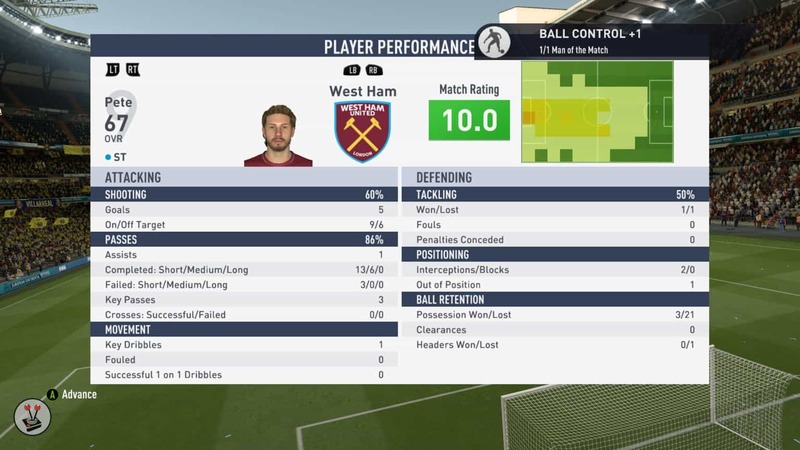 Another great addition to FFIA 19 is the inclusion of Dynamic Tactics. This gives you more control over the rest of your team if you opt to play as only one athlete – as I often did. Previous FIFA titles only featured an attack and defend preset. Now you have the option to ensure the team plays exactly how you want them to. Five presets can be set up in this regard. It is clear that this year EA focused on gameplay in FIFA 19 more so than anything else, and it definitely shows. From the onset, I had a great time with the game thanks to its fluid controls and game mechanics. Naturally, it helps that animations and models also looked and moved as great as they did. I reiterate that FIFA 19 takes everything from the games before it, and improves upon it tenfold. I think this is especially the case with the visuals. Sure, player faces have been scanned and included in the game for years, but this is the first time that they actually look great. Naturally, it looks good because of EA’s popular Frostbite engine. Thanks to the engine, textures and models are perfectly rendered in a way that makes them look real. I always felt that previous titles looked either overly realistic or way too basic. 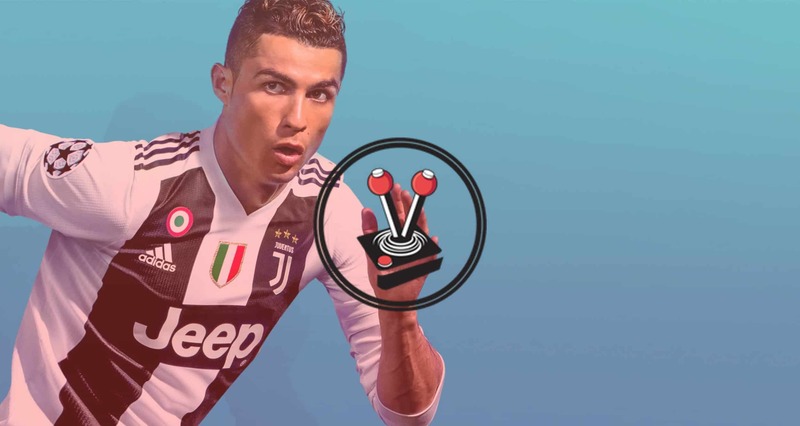 FIFA 19 reaches a decent middle-ground. Couple that with seamless animations and super smooth gameplay, and it is a win in my book. With the Frostbite engine and exceptional polish, comes strange little things that I feel could have been ironed out well before release. Throughout my gameplay, I did experience a few bugs. The most glaring one of them all was the progress bug that I experienced early on in my play through – it prevented me from continuing the game, forcing me to restart the campaign. Beyond that, however, small things kept creeping up. After certain matches, the game would serve me pop-ups on the top-right hand corner of the screen. These included milestones and achievements. Beat your first match? Here is a pop-up. Beat ten more? Here is another. Sprinted 1 kilo? Have one more! The pop-ups themselves are not the issue. The problem is that they would sometimes just stick around… forever. I remember I had the +1 Achievement for being the player of the game stick around for three entire matches! It would not go away after a match, regardless of whether I quit and saved. Fortunately, it fixed itself, but I do wish that it would not happen in the first place. Weird popup bug aside, I never ran into anything game breaking beyond the first progress bug. The rest of the game ran as smoothly as you might expect from a simulation title. It also looked phenomenal for a soccer title. While not exactly perfect, I did find that the game is strikingly good looking. All teams consist of real-world athletes and star players that are scanned and animated in such a true-to-life manner that it felt like I was watching a series of SuperSport highlights. 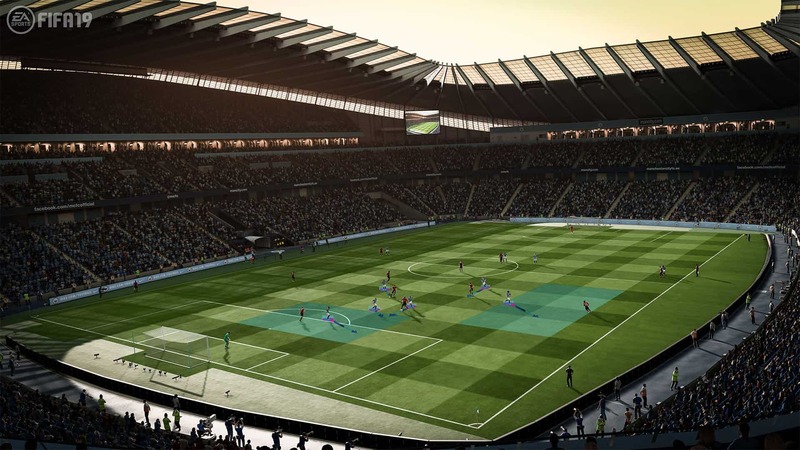 It also helps that all matches are played from the perspective of a distant camera, complete with EA Sport and score overlays that make it seem like you are emulating a match being broadcasted on television. When something looks and runs beautifully, the last remaining question is ‘how long does it take to load’? Well, I can safely say that it FIFA 19 loads pretty quickly! From skipping the boot-up cutscenes and splash screens, to choosing the game mode you want to play and loading into a match, it is pretty darn fast. Perhaps the only thing that took a long while was “emulating” the downtime between matches in Career. There would be entire weeks in between matches, and the game slowly moves from day to day in order to emulate real time passing. Weird, but whatever. It did not take away from the actual matches at all. The game had one possible game breaking bug and that should not be excused. However, everything else is just so gosh darn excellent that I am willing to forgive its occurrence. FIFA 19 is strikingly pretty and exceptionally smooth. Loading is fast and hardly even an inconvenience. There are a spate of game modes, including two standard single-player campaigns, one of which is traditional and another called The Journey, which features heavy narrative, cutscenes, and a whole heck of a lot of acting. 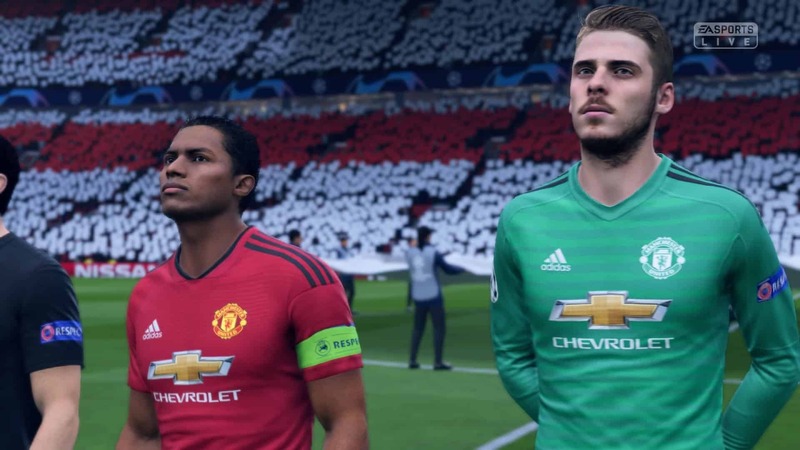 FIFA 19 builds off of its legacy with aplomb, while improving on it in just about every single way. 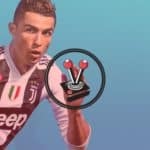 FIFA 19 is yet another goal for EA! It is a strikingly pretty and exceptionally smooth game. There are a spate of game modes, including two standard single-player campaigns, one of which is traditional and another called The Journey, which features heavy narrative, cutscenes, and a whole heck of a lot of acting. FIFA 19 builds off of its legacy with aplomb, while improving on it in just about every single way.